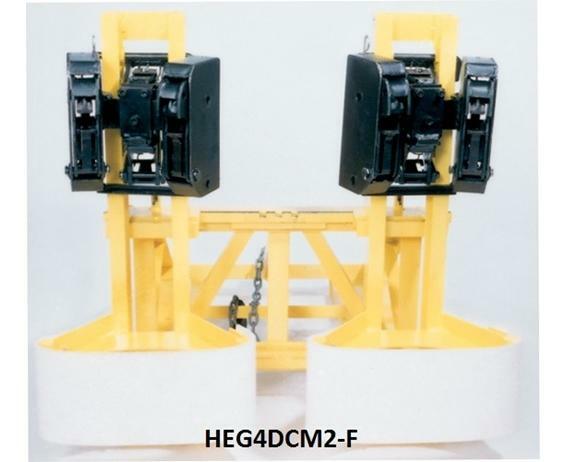 Double articulating clamping mechanism for handling any steel, plastic or fiber chimed drums in high volume uses. Completely mechanical requiring no hydraulic or electrical connections. Each drum is gripped with 2 upper and lower jaws in heads 6" apart. 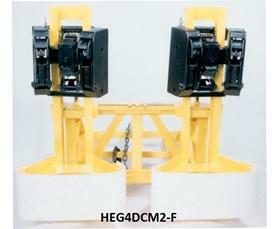 Swivel action permits pickups of misaligned or slightly separated drums. 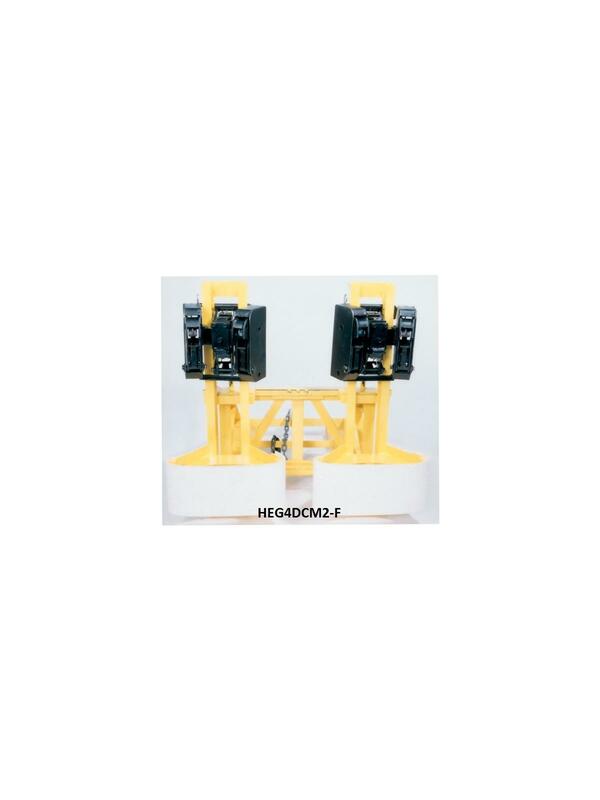 Carriage mounted models for tight aisle uses. Fork mounted for fast installation. Quick adjustable heads allow pickup of various drum heights. Belt bases eliminate damage. 2000 lb. capacity per drum. FOB Shipping Point. -SRC Non-Sparking Option: Stainless Inner and Outer Housings with non-sparking jaws. 35 x 15 x 18"35 15 18"